Whoa! So many responses! Just keep them coming! Thanks for the opportunity! Cheers! Thank you for joining the contest. We'll announce the winner soon! Thank you so much! Hardwarezone Philippines and MSI! Harvey Harmandas (a.k.a Harvey) just picked up his MSI H97 Gaming 3 motherboard. 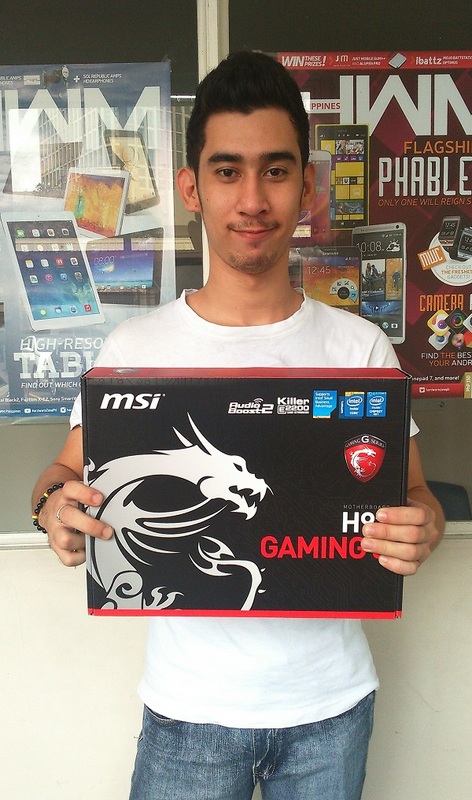 He is the winner our MSI Z97 Gaming 7 Tech Quiz contest. Congratulations!